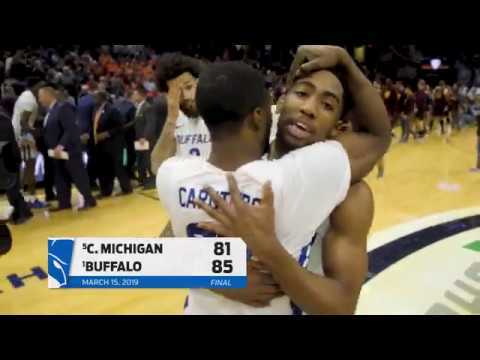 The University at Buffalo men’s basketball team outscored Bowling Green, 24-8, over the final eight minutes of the game to beat the Falcons, 87-73, and win their second straight Mid-American Conference Championship at Cleveland’s Quicken Loans Arena on Saturday night. The Bulls have now won four of the last five MAC Championships. It was a back-and-forth affair for most of the second half. Bowling Green took a 65-63 lead with 8:54 left in the game. However, a Davonta Jordan three-pointer with 8:02 left, gave the Bulls the lead for good. Jayvon Gravesfollowed with a three-pointer of his own to up the lead to four. Graves struck again with another corner three to put the Bulls ahead by six with 4:08 left. It was that shot that really opened the floodgates for UB.